Two days of cheese, cheese and MORE cheese awaits. Take an artisan tour; learn from our experts at Saturday seminars; indulge at Cheese, Bites & Booze! with cheesy bites from our mongers and chefs plus wine, beer, cider and spirits on Saturday Night. On Sunday experience the cheesy Bubbles Brunch and explore the Artisan Cheese Tasting &Marketplace where you can taste and buy cheeses and artisan products from over 100 producers, including two dozen artisan cheesemakers; sample world-class wines, craft brews, spirits and ciders...and much more. 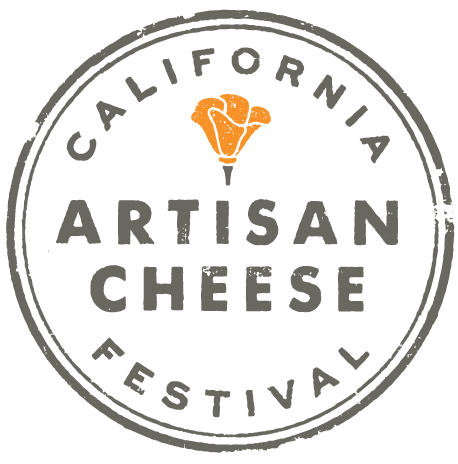 Preview the fun of the Festival by dining out during California Cheese Week (March 16-24), where restaurants and businesses feature artisan cheese dishes on their menus. What could be better than celebrity chefs, world-class cheese, wine, beer, cider, spirits and more all in one fun-filled weekend!